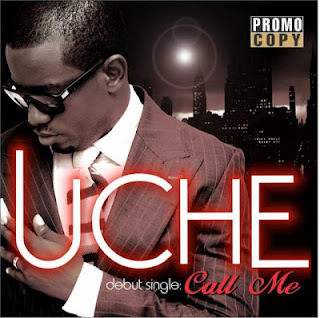 Style entrepreneur and Creative Director of OUCH Couture Uche NNaji recently unveiled his first official song titled 'Call me' as a recording artist in an exclusive birthday Cocktail dinner with close friends and associates. Uche whose love for music has grown deep from his days as a bassist in the choir led the style connoisseur to the studio to work on a full album. Compared already to the King of 80’s R&B Soul Luther Vandross, Uche Nnaji’s sound is an intricate mix of soul and Nigerian flavor for the discerning ear. According to him; " I made this song for all lovers who get carried away by the day to day pressures of work and survival sometimes, all it takes is just a phone call to your lover to keep the relationship on the right track" Allow us to introduce you to the Man who's music penetrates the soul effortlessly; As he premiered his debut single titled ‘Call Me’ officially on June 11, 2012 Worldwide. After listening to the song, Obi Asika, Storm 360 CEO said, "Real music is back and yes i think Uche just delivered a timeless love song that should appeal to the ladies and all who love true songs, he is a real throwback and its refreshing to hear some real music. Happy Birthday Uche and welcome to the music industry with this timeless song and that voice I think you will be around for a while." Style entrepreneur and knowledge expert Uche is the CEE and Creative Director of OUCH Couture. He was born in 1978 and from a very tender age, he developed an interest in music and took every opportunity to sing at home, eventually, he joined the children’s choir. His love for music would find expression in his university years when he played the bass guitar and played in an amateur band. An entrepreneur at heart, Nnaji eventually put music in the back burner to focus on his growing popularity as a Fashion Entrepreneur. His lifestyle brand 'OUCH' gradually warmed its way into sophisticated Nigerian circles and is worn by discerning and sophisticated men and women.